With the introduction of the GLOBAL line in 1983, YOSHIDA METAL INDUSTRY CO.,LTD. (YOSHIKIN) led the world in the manufacture and marketing of all stainless steel knives of one-piece construction (integrated handle and blade). 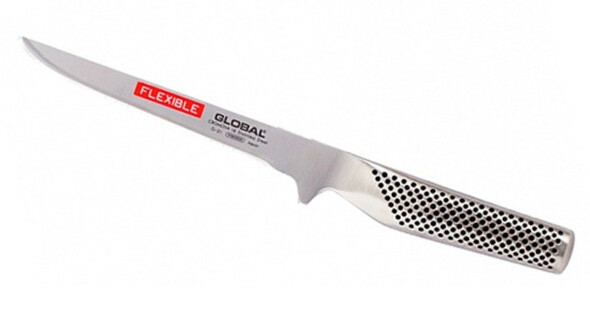 Ever since, this concept, and the excellent cutting abilities that these knives possess, have attracted great attention worldwide, winning the highest praise from the most demanding users and launching a revolution that established a new standard for all stainless steel, one-piece knife construction. The GF33 is drop forged, making it heavier than any other Global knife. This perfect balance of Japanese edge precision and European heft makes this knife the one to go to when you’re looking for a sharp knife with enough weight to go through thicker and tougher foods such as turnips and other root vegetables, squashes, etc.. This Chef's Knife is the perfect tool for jobs that requires precision cutting, slicing, and dicing. The blades is ice tempered and hardened allowing it to hold a razor sharp edge longer than any other steel. 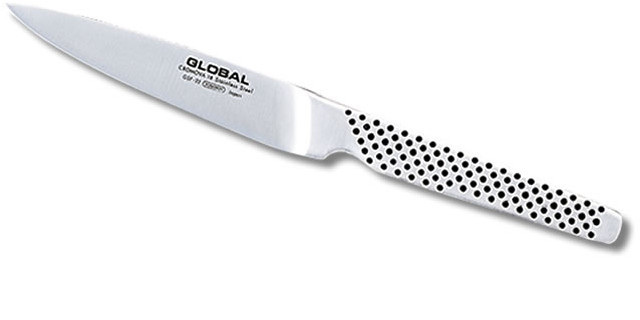 The Global 7" Santoku Hollow Ground knife is a great Chef's knife. 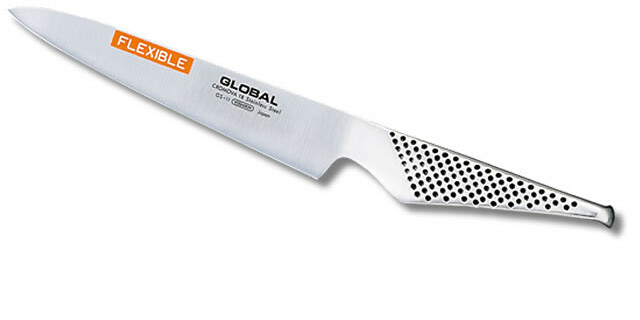 Its versatile size and Hollow Ground edge makes chopping, slicing, and dicing easier than ever. 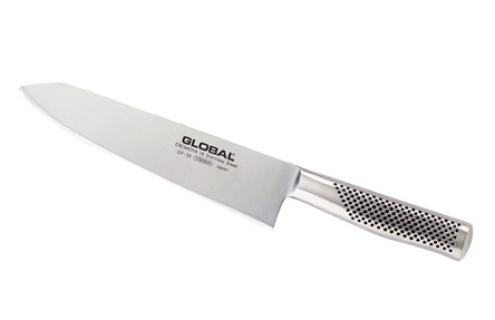 Global Bread Knife is the perfect tool for jobs that require precision slicing. Serrated for easy slicing through loafs. Bamboo is 16% harder than maple wood, 1/3 lighter in weight than oak, yet in some instances as strong as steel. Bamboo holds the promise of a sustainable, cost effective, and ecologically responsible alternative to the widespread cutting down of our old growth forests. Our bamboo cutting board comes in two colors, light, which is the natural color of the bamboo and dark, a shade of honey. The dark color is achieved by carbonization, bringing out the natural sugars, caramelizing it. This allows for a permanent darker colour and will not fade or wash out. 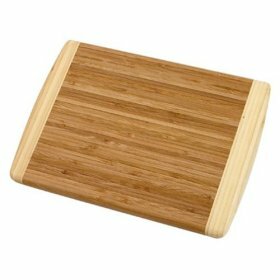 This bamboo cutting board is made totally with bamboo, is harder than maple wood, durable and simple to maintain. As its harder, they inhibit bacteria much lesser than the normal wooden cutting boards.